The Pacific National Exhibition has revealed the musical program for the 2018 Fair at PNE. In addition to entertainment, games and rides, the annual event will also host a number of concerts throughout its two-week stint in Vancouver. 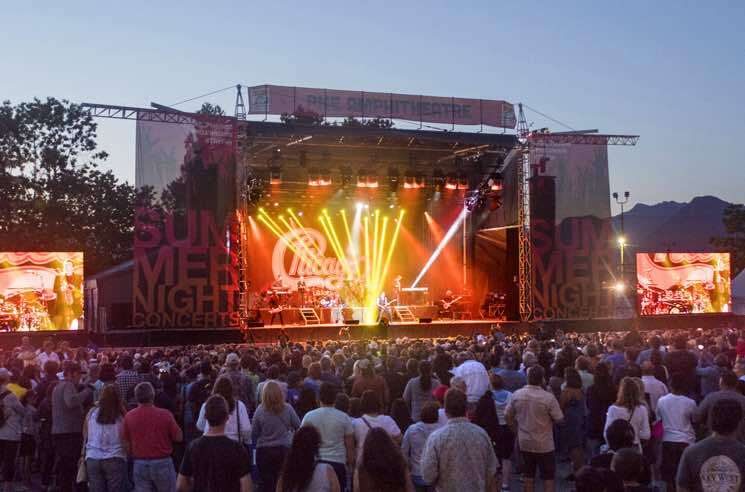 The run of shows kicks off on August 18 with Boyz II Men and also boasts performances from Air Supply, Salt-N-Pepa, Marianas Trench, Kool & the Gang, Burton Cummings and Band, Chicago, the Village People and Cyndi Lauper. See the full list of shows down below. The Fair at PNE runs from August 18 to September 3. The concerts are free with admission to the fairgrounds, but you can also purchase tickets to reserve seats. They'll be available for sale beginning May 25, and start at $25. Find full event information at the Pacific National Exhibition website.